The Internet of Things is slowly permeating every aspect of our lives. 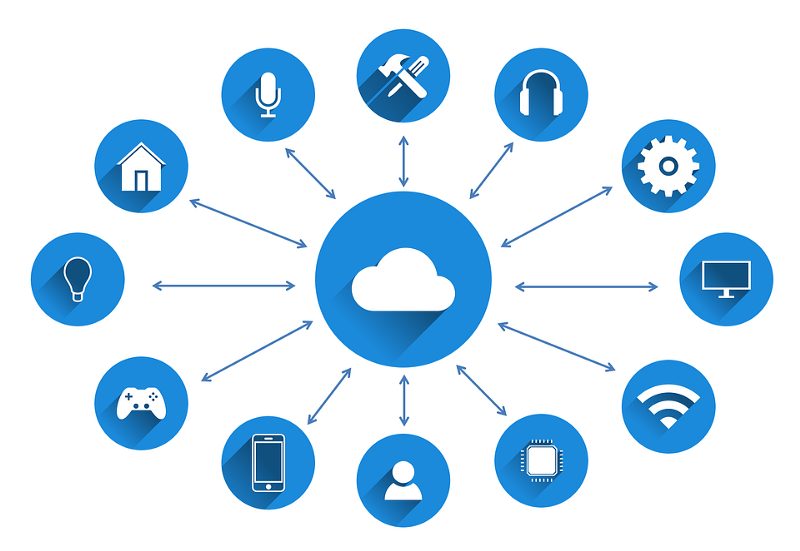 If you don’t already own an IoT device, you’ve surely heard of them. From smart thermostats to smart coffee makers, IoT devices are slowly but surely garnering mainstream adoption. In addition, virtual assistants (such as Siri, Cortana, and Alexa) are only making this technology easier to adopt. But, these devices are far from perfect. Currently, there is a lot of manual input required to achieve optimal functionalityâ€Š—â€Šthere is not a lot of intelligence built in. You must set your alarm, tell your coffee maker when to start brewing, and manually set schedules for your thermostat, all independently and precisely. These machines rarely communicate with each other, and you are left playing the role of master orchestrator, a labor intensive job. This presents a huge opportunity. Creating devices that "); background-size: 1px 1px; background-position: 0px calc(1em + 1px);">learn your preferences, using machine intelligence and intercommunication in order to augment the world around you in the optimal way, is something of a fantasy… or is it? Okay, not bad. However, small deviations from my precise routine can counteract the effectiveness of using automation. One snooze too many can leave me with cold coffee, and I could easily get lost in the notifications and lose track of time. The effectiveness of these devices depends on me, and that’s not always going to work out. But, let’s see how intelligent, interconnected devices can make this system a lot better. Did you catch that? Some differences were subtle, and some were quite obvious. For starters, no matter when I get up, my shower and coffee are ready without ever getting the chance to waste water or go cold. Smart curation of content keeps distractions like social media from letting me get late, and my car is nice and warm right when I need it, and not a moment before or after. Tasks that were previously sequential can now be parallelized. Morning routines aren’t the only thing that get better. In fact, single person optimization is just the tip of the icebergâ€Š—â€Šgroup settings are next. Imagine a restaurant with flexible lighting and music selection, optimized to suit the preferences of the customers, public transport that does the same, and city grids that optimize traffic flow by talking to self driving cars. The list goes on and on. This technology will decrease time we spend in traffic, help us get better sleep, and ultimately help save lives, all without any manual effort. We are building a smarter, safer world. This is the power of intelligent, interconnected machines. A world that is independent of human error. I’d be lying if I said there is only upside. Cybersecurity is a fascinating and vast field of study, but it’s far from perfect. Anything connected to the internet is vulnerable to some degree. 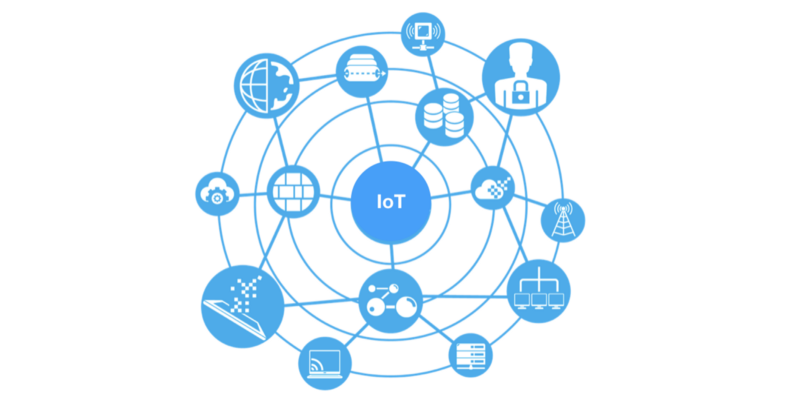 Here are three major things that could go wrong with a fully intelligent IoT world. Data Privacy: An increasingly hot topic, privacy laws to prevent personal data abuse have become more important as personal data has exploded thanks to social media. 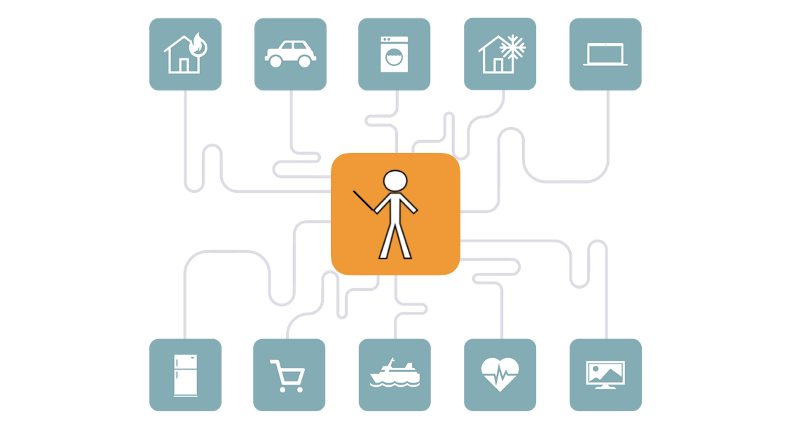 However, IoT data may present a whole new caliber of granularity for personal data. Social media can only go so far; these devices, in aggregate, will know more about you than you do yourself. Steps must be taken to separate any unique personal identifiers from this data, as it can certainly be used for identity theft, fraud, and other malicious attacks. Physical Attacks: While the worst a hacker can do by taking full control of your Roomba might be stubbing your toe, the more integrated the world is, the more susceptible we are to more creative physical attacks. For example: "); background-size: 1px 1px; background-position: 0px calc(1em + 1px);">your car could be hacked, leaving you at the mercy of whoever controls it. As more powerful cyber-physical systems are integrated, the more careful we need to be. Satellites, water services, and power plants will soon be, in a sense, more vulnerable than ever before. Grid Collapse: These devices will all require one thingâ€Š—â€Špower. In the event of power failures, safeguards must be in place to guarantee that the orchestration of these devices continues. Public transportation and self driving cars that get instructions from the smart traffic grid must be able to navigate without it. Networks must be built to be as robust as possible to other nodes collapsing, even as many as the entire rest of the grid. This scenario is unlikely, and grossly oversimplified for this example, but it’s definitely important to think about failsafes for system wide failures. Yes, these reasons can seem quite scary. They’re problems that require careful planning and implementation. A fully connected world won’t appear overnight, and we will find and correct problems as they appear as we built this out. Are there risks? Certainly. As with any new technology, we make a promise to accept both the potential benefits and risks that come with mainstream adoption. I’m optimistic that the pros of an intelligent, interconnected world will far outweigh the cons. Sooner rather than later, we will likely see something of a fantasy world where not just our devices, but actual physical world around us is optimized to bring us a safer, more efficient experience. So, instead of spending time waiting for our showers to get warm and losing track on our phones in the morning, we can spend time pursuing what we truly find important. Footnote: Back in the late 2017 crypto craze, my favorite project was "); background-size: 1px 1px; background-position: 0px calc(1em + 1px);">IOTA. Simply put, their vision is that machines will eventually communicate with each other, and will need a universal “currency” to exchange in order to borrow resources from each other. I always thought it was a revolutionary concept, and encourage you to check it out. At the very least, you might get an inspiring picture of a smarter world that one day could be real.